Holidays like Mother’s Day can be difficult, especially during the first year after your loss. Even if it's been some time since the death, holiday ads bombard all of us with images of a mother's love and care. In addition to these often bittersweet reminders, Mother’s Day itself can stir up the pain of loss for you, your children and/or grandchildren. 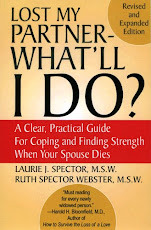 If you’ve lost your spouse/partner, it may also remind you of your own deceased parent(s). Children in particular can feel left out and troubled while others around them celebrate the occasion. a) Acknowledge your own feelings of loss by talking about how you miss your spouse/partner or parent. When children see you sad or tearful it lets them know their own feelings are normal. b) Have younger children create “remembering” cards, with photos or drawings of special memories about their parent or grandparent. c)You may find it comforting to visit the cemetery or other place of remembrance. d) If there is a family gathering, make some time to share affectionate or funny memories of your loved one. The feelings Mother’s Day stirs up won’t just go away. It’s best to acknowledge the occasions, even briefly, especially with children. By denying or avoiding sad feelings, you run the risk of them "sneaking up" on you or other family members unexpectedly.